A couple of years ago, I published a blog post with my understanding of what an in-class flip was. 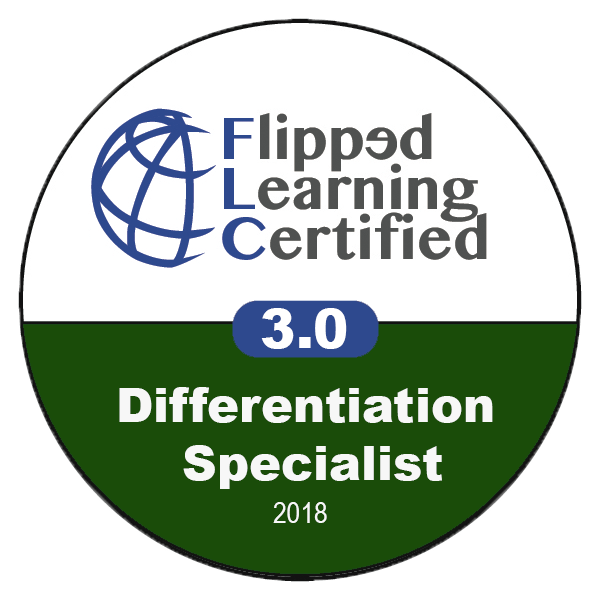 Since then, I have tried different ways to in-class flip in my teaching setting to figure out all the possibilities that come with this approach. During this discovery process, I teamed up with my dear friend and colleague, Carolina Buitrago, whom I’m now writing a book with about In-Class Flip. Coming soon! 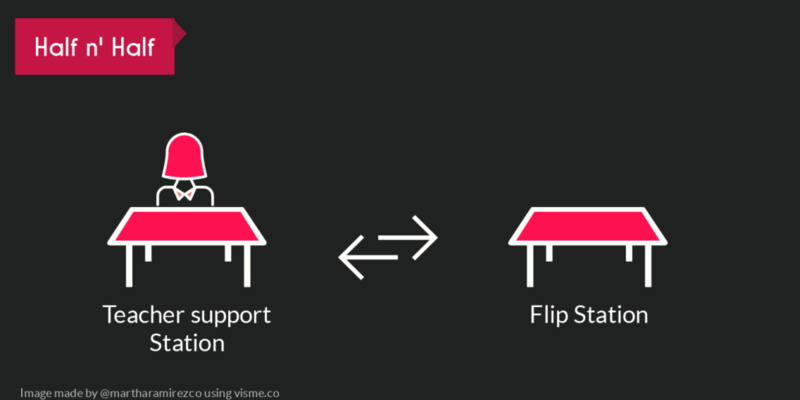 In this post, I want to share a more expanded view of in-class flip thanks to the work that Carolina and I have developed. 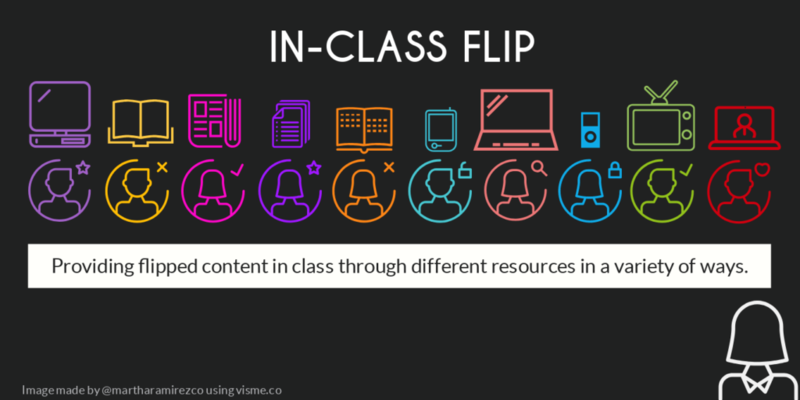 Contrary to the idea that flipping can only be done outside of the teaching setting, in-class flip is an alternative for teachers who cannot send the flipped content to the individual space. 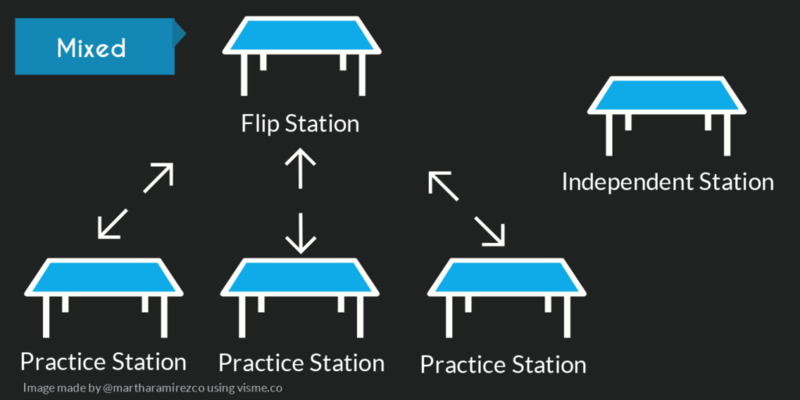 An In-Class Flip can be done with or without station work. In her post from 2014, Jennifer Gonzalez introduced the term with a station configuration. That’s one way to do it, but teachers around the world have contributed to evolving the concept of flipped learning, including the in-class flip. With this in mind, there is not just one way in which students can access the flipped content. It can be done in a number of ways and within different configurations. 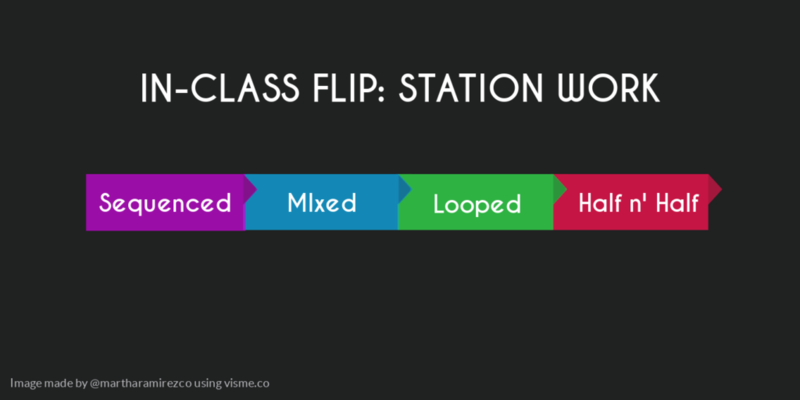 There are six types of stations that can be used in a station work in-class flip. Flip station: where the flipped content is. Content could de digital or paper-based. 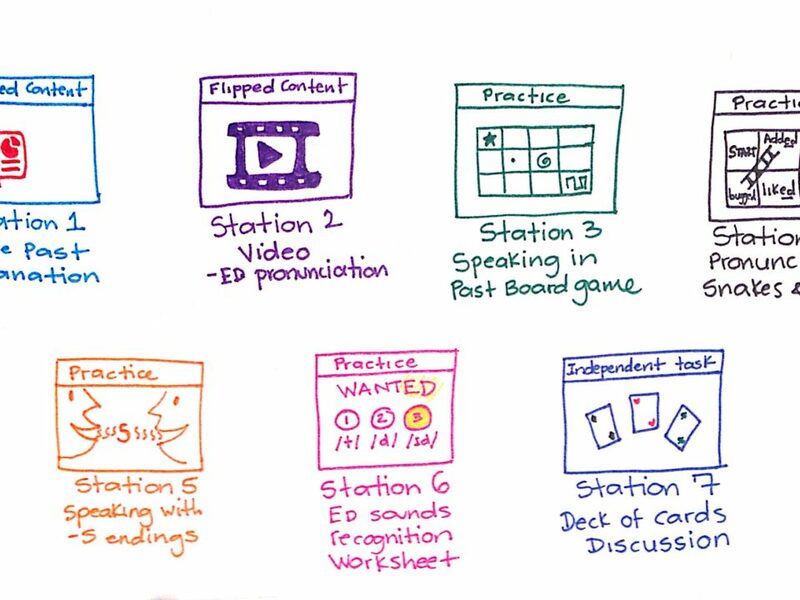 Practice station: where students show different levels of mastery of what they have learned from the flipped content. Different levels of Bloom’s taxonomy can be developed in these stations. Scaffolding is key! Independent station: where there are “extra” resources for students to work on while other stations become available. This station is perfect for fast finishers. Feedback station: where students are asked to provide feedback about their own learning, the lesson itself, their classmates’ work or the content. Teacher support station: where the teacher helps and provides support for students who have doubts or are struggling. Peer Instruction station: where students teach the content to each other. Within the station work configurations, there are 4 types. Tasks are completed in a linear way. Students must complete station 1 before moving on to station 2. Students can choose where to go and move at their own pace. An independent station is a must here for appropriate flow of the lesson. 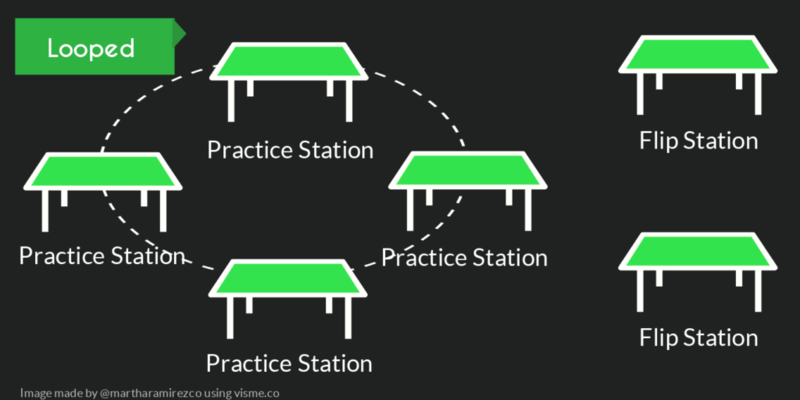 Students can start at any station and rotate until they close the loop. 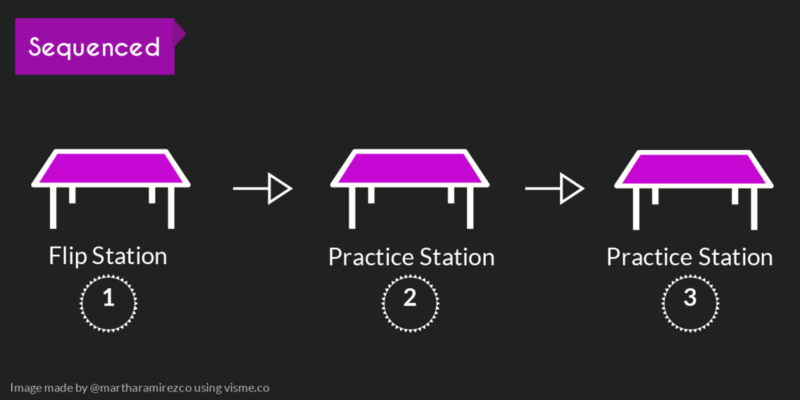 Flip stations can be inside or outside the loop, depending on the level of dependence or interdependence between flipped and practice stations. Half of the students work with flipped content and the other half receives teacher support (feedback, extra explanations or tutoring). Then, both groups switch stations. 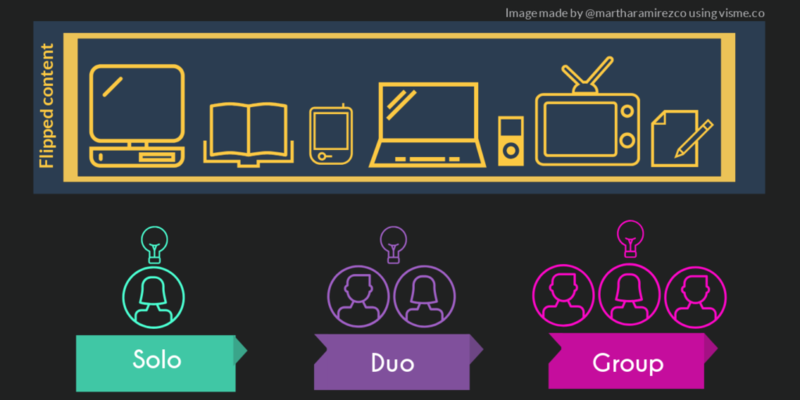 Students can interact with the flipped content in 3 ways when they are in the group space. Group: in a small group. 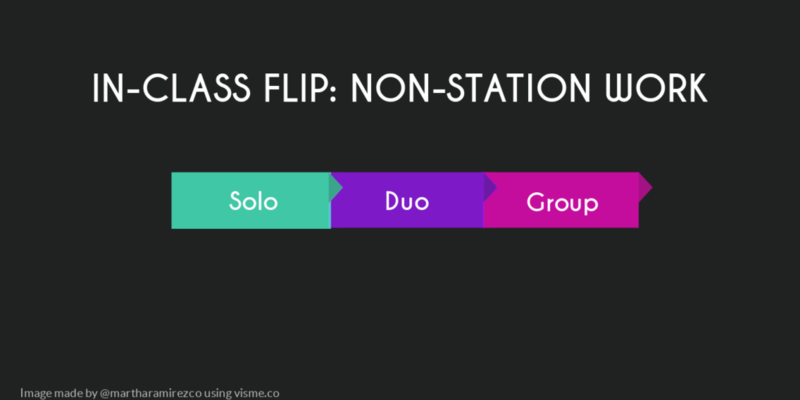 The solo, duo or group flip fit within a regular lesson plan sequence. Instead of giving direct instruction, you assign the content to students within the group space. In the meantime, you monitor and provide support as needed. 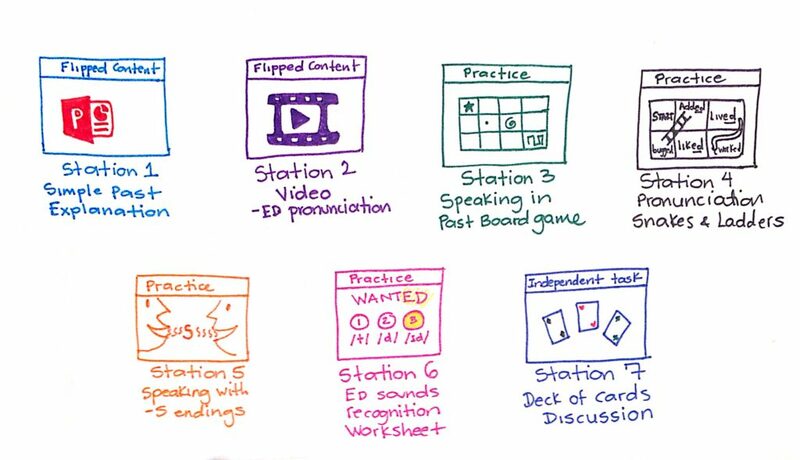 As you can see, there are numerous ways to do in-class flips, which will continue to evolve as teaching and learning contexts continue to change.